The commercialization of Easter is something many Christians are familiar with. But some do not know the history behind the treats and gifts given during the springtime religious holiday. 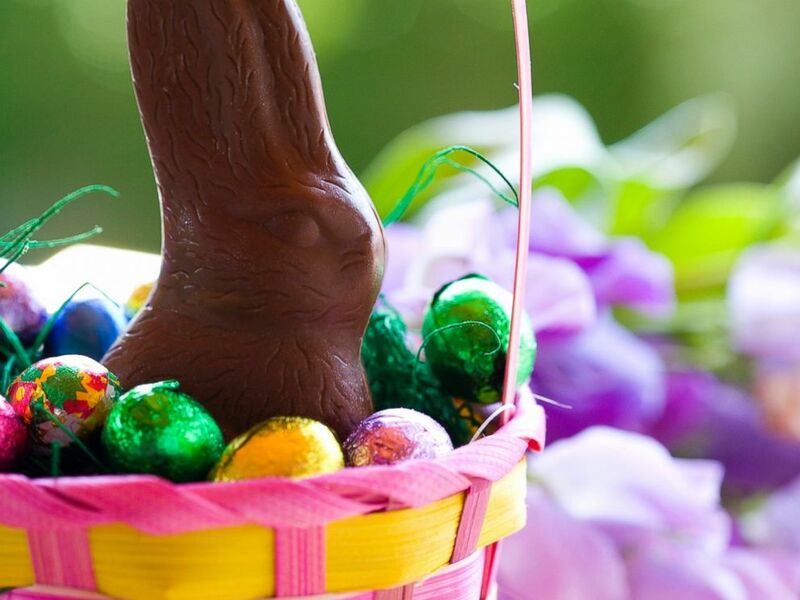 Why are kids given Easter baskets with chocolate and candy in them? During Lent -- the 40 days leading up to Easter -- many Christians give up treats such as chocolate. The dietary restraint is meant to symbolize the sacrifice Jesus Christ made by dying on the cross to absolve believers from their sins. 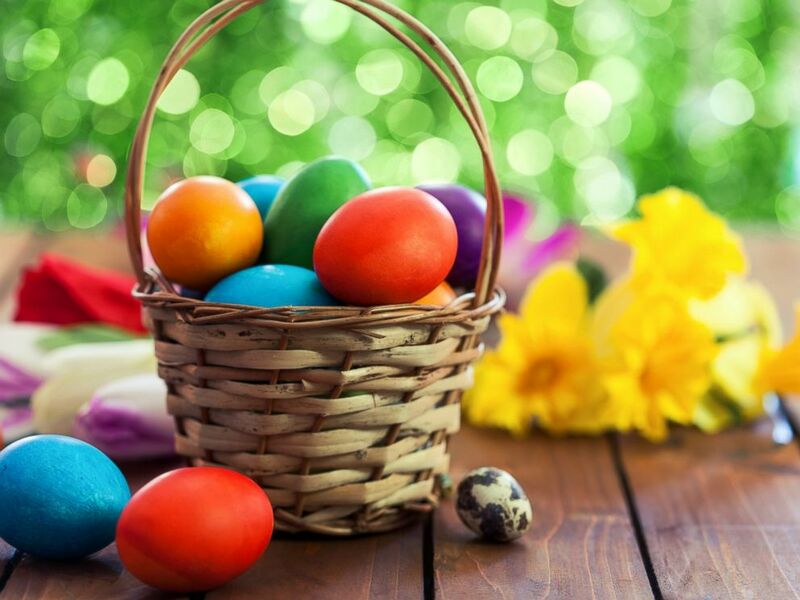 Historically, when Easter arrived, feasts in large baskets were brought to churches to be blessed by religious leaders. This also explains why chocolate is often given as a present on Easter -- to reward those who gave up eating it during Lent. 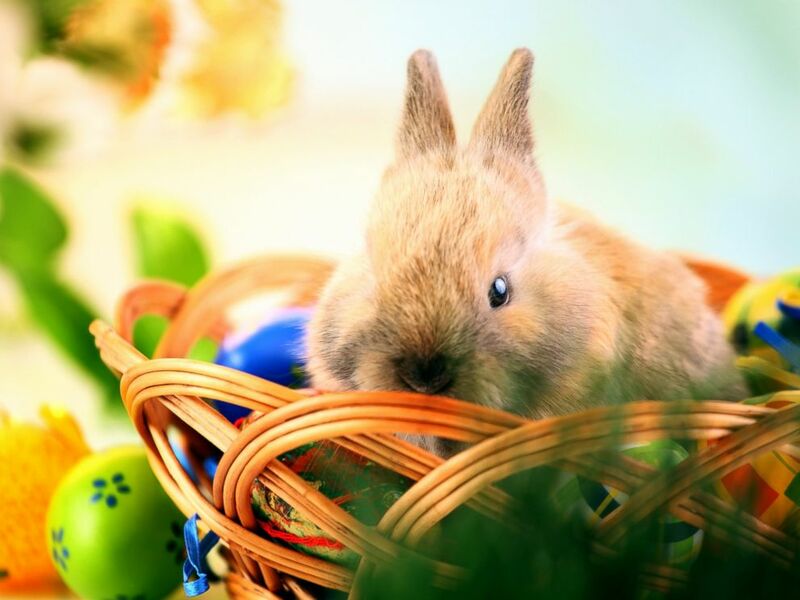 Easter bunny sitting in a wicker basket. Some historians claim Easter comes from Eostre, the pagan goddess of fertility and spring. According to the tale, Eostre found a bird freezing to death and turned it into a rabbit to keep it warm. But the rabbit still laid eggs like a bird. In the tale, the bunny decorated her eggs to show her appreciation for what Eostre did. Basket of painted Easter eggs. What about Easter egg hunts? Easter eggs also have a religious connotation. According to the Bible, Mary Magdalene was the first person to see Jesus following the Resurrection after he was crucified, died and was buried. When she told people what she witnessed, she was holding an egg in her hand as a symbol of rebirth and the circle of life, Eastern Orthodox tradition states. Then, Emperor Tiberius Caesar heard her proclamation and said "Christ has no more risen than that egg is red." According to the religious story, Mary's egg turned bright red while the emperor spoke.